The 700 series is a pilot actuated pressure valve with a precision adjustable pilot setpoint. Perfect for use in the applications which require intrinsic safety, pneumatic sequencing, and precise pressure relief. Four mounting styles are available for design flexibility. Valves can be ordered as normally open or normally closed and pilot actuation can be factory preset. 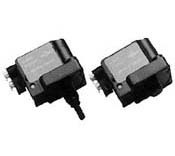 The AT-1004 series of low pressure switches is designed for applications where adjustability is not required. Available preset from 1.5 to 17 inches of water column. 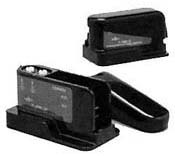 Applications include liquid level sensing, confirmation of system pressure and footpedal interfacing. Contact an Airtrol Application Engineer with your requirements. The F-3000 Series pressure to electric switch is designed to meet the strictest space limitations. 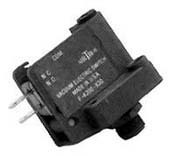 This unique pressure switch is constructed of chemical resistant and heat stable material. Factory pressure settings from 3 to 50 psi, for extended life, higher setpoints can be attained for devices not requiring extended life. A variety of mounting options and port connections make the F-3000 Series an excellent choice for the O.E.M. 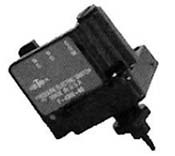 The F-4000 Series pressure and vacuum switches are unique in that both the actuation and release points can be set independently of each other. Available in pressure ranges to 60″ WC and vacuum to 15″ Hg. Gold contacts and solid state hall effect switch options are also available. The F-4200-X series vacuum to electric switch is designed for the customer with cost and space limitations, and is available in adjustment ranges from 4″ WC to 30″ Hg full scale. A wide variety of options including gold contacts, factory pre-set and special deadbands, make the F-4200-X series an excellent choice for the O.E.M. The F-4300 series pressure to electric switches are designed for applications requiring narrow operating deadband. They are available in adjustment ranges from 2 to 100 psi full scale. Four mounting styles, plus a wide variety of options including gold contacts, factory pre-set, and solvent bonded barbed fittings, make the F-4300 series an excellent choice for the O.E.M.